Hi, my name is Jackie Dimmer, Welcome to PawsOn! Over the last 20 years, I have become increasingly interested and involved in canine behaviour and training. Starting with voluntary work instructing at my local dog training club, I felt compelled to improve my knowledge and was motivated to undertake a two year course in Canine Behaviour and Training. Subsequently I became involved in agility and now compete regularly as well as holding ‘Approved Instructor’ status with the Agility Club. My interest in canine massage began when my 9-year-old German Shepherd, Wolf, was diagnosed with degenerative joint disease, similar to osteoarthritis. He was subsequently treated with physical therapy and I was enlightened to the difference this made to his quality of life. This inspired me to take my diplomas in Galen Canine Myotherapy and Exercise Physiology. Dealing with muscular issues and improving the wellbeing of your dog through canine massage and training are my passion. 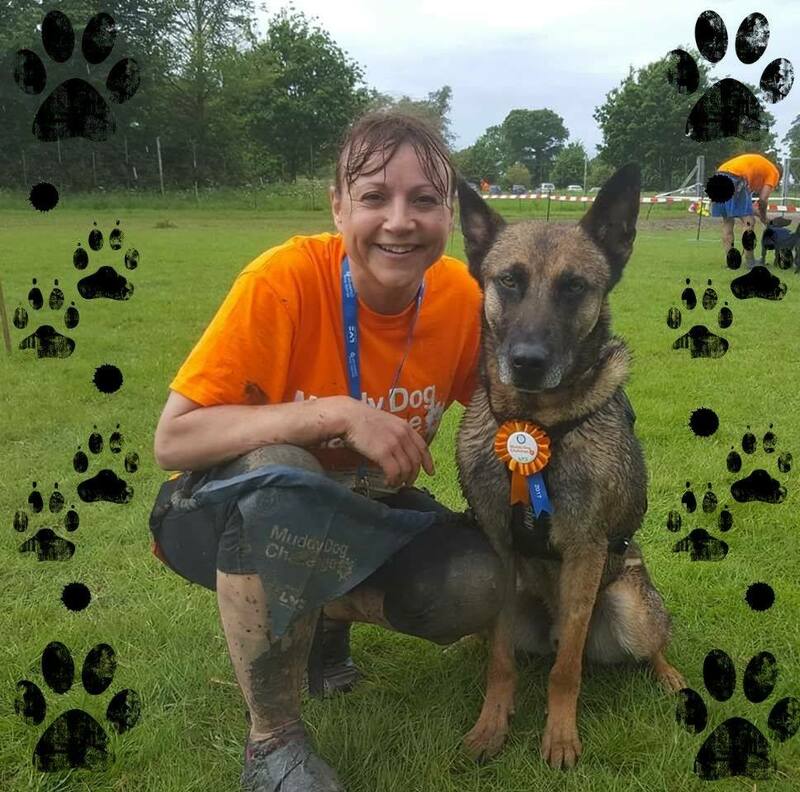 I believe my technical expertise and life experiences working with dogs, together with my academic achievements provide me with the skills and attributes to enable me to give your dog the best possible outcome. 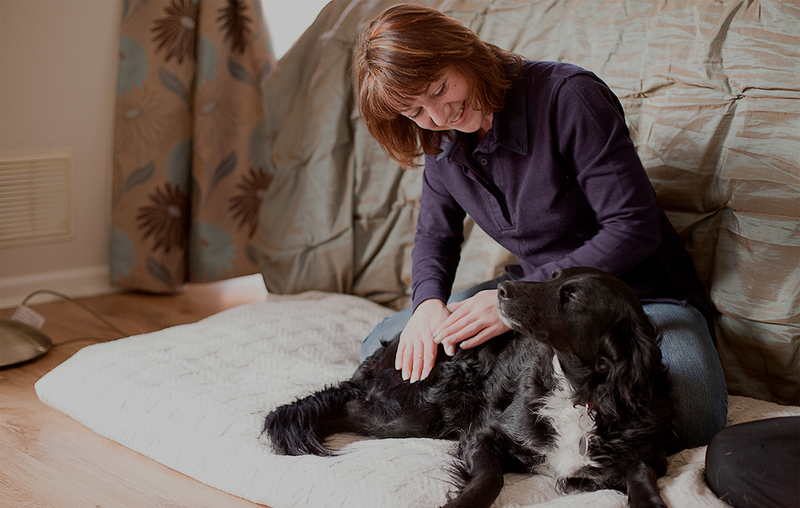 Rest assured, I can care for your dog whether it be your pet, working or performance dog – for wellbeing, pain or injury – from tall to small, puppy to senior. Our services are designed to handle a wide variety of issues for your canine companion. Assessing your dog’s movements to identify underlying issues that may lead to reduced performance. Using natural exercise to target muscles that are appropriate to the task the dog has to do. Advice on training regimes. A bespoke programme of strengthening and flexibility exercises to help restore your dog’s muscular balance. improve performance, reduce the risk of injury and aid recovery by warming up/cooling down correctly. Regular muscular assessments and treatments help to keep your dog in top condition by uncovering underlying issues before they impact on your dog’s performance. As dogs age their bodies can become victims to arthritis, and this brings associated muscular discomfort and pain. Regular Massage can help to relieve their symptoms and enable them to continue to live an active and happy life. Dog’s that have experienced bad situations can have stress related issues such as aggression or fear. 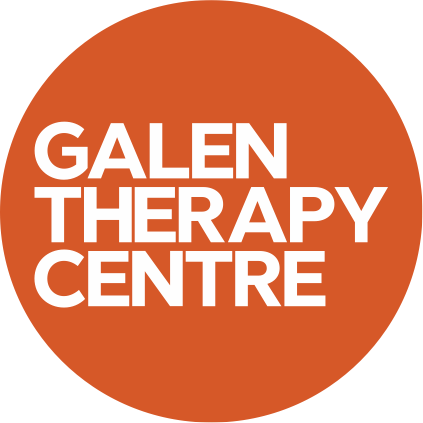 Gentle massage techniques can be used to reduce anxiety, lower heart rate and promote relaxation. I am a qualified behaviourist and offer 1-2-1 consultations to tackle your behaviour and training issues. Superficial massage techniques warm tissues but also work on a neurological level, promoting endorphin release which is the body’s natural painkiller. Helping your canine companion deal with pain relief via specialist massage techniques. Treating injuries to reduce the impact of scar tissue formation and improve recovery. These are secondary muscular issues that occur when one muscle has to overwork because another is weak. Muscular compensation is often chronic and common in the senior or arthritic dog. Improving muscle tone prior to surgery and reducing scar tissue formation post-surgery to aid recovery and restore functionality in the affected area. Pain, muscular spasm and tension affects posture. Soft-tissue release works to reduce restrictions within the muscular system, thus restoring balance and improving stance. I am available to host talks and workshops across the midlands and surrounding areas. and professional organisations better understand how to care for their animals. Allow me to visit your surgery and present the nurses with information on how myotherapy can enhance the care of the canine patient. Talk can be adapted to cover learning outcomes as requested. Discover more about your dog’s body, how massage can help with a range of issues and learn some hands-on techniques that you can use to improve the wellbeing of your dog. Invite me to your training group and I can offer a hands-on assessment of the dogs (approx. 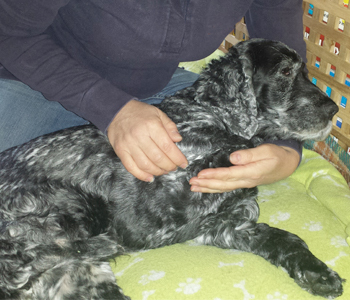 15 mins/dog), discuss the findings with the owner and advise on appropriate treatment if necessary. Learn more about the body of your Canine Athlete, the stresses that they undergo while competing, potential injuries and how identify issues, reducing the risk of injury. Warm Up / Warm Down routines. Maximum of 6 dog/handler places. 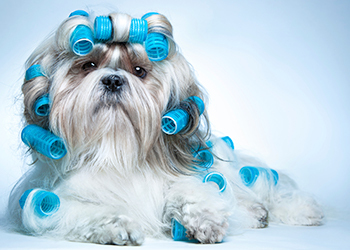 As a pet owner we understand the role that your dog plays in your life. As owners it’s essential to have access to the right information on how to handle your dog and how they can be trained for different roles. Getting you off on the right foot. Having a new family member in your home can be a daunting prospect. I can offer advice on early training, e.g. food manners, walking on lead, toilet training as well as tackling common problems and behavioural issues associated with a young dog. I use modern positive training methods e.g. clicker training to reward your dog and build confidence. Book me for a 1-2-1 behaviour consultation. Does your dog lag behind on a walk? Constantly lick their paws? Look stiff after exercise? Seen a change in behaviour? Appear restless? These are common issues associated with muscular discomfort. As your dog ages they can suffer from physiological changes which can impact on their mobility and lust for life but this is often a result of muscular soreness and soft tissue issues. Myotherapy is a targeted muscular therapy that uses massage techniques to release tension, and promote healthy tissues, thus helping to restore your dog’s mobility and vitality. Contact me to discuss a massage for you dog. To keep up with everyday duties your working dog needs to be in peak condition, given the correct preparation and recovery, and remain free from injury. 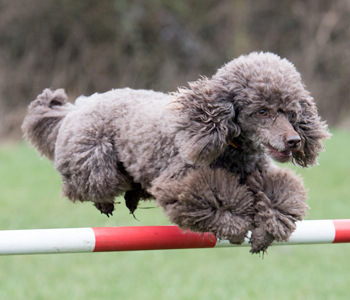 If you have seen a reduction in their ability or want to make sure your dog is fit for purpose then contact me to discuss how I can best help your dog achieve maximum performance. 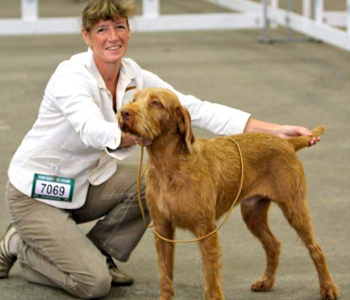 Preparing your dog correctly for showing can be the difference between success and failure in the ring. 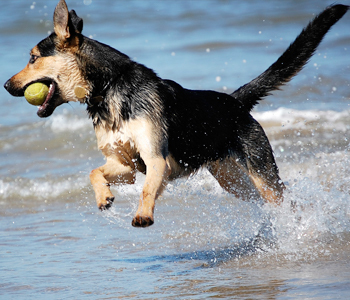 Your dog needs to be able to show correct movement, good balance and an active gait. I can help get your dog in peak condition using strengthening and flexibility exercises, help with your dogs’ movement and ensure he/she is not suffering from any muscular tension. It is also vitally important to correctly warm up your dog before their big performance. I can show you how. Contact me to discuss your requirements. We work with a large variety of animal care organisations from vets to pet shops to mobile grooming professionals to provide key information and techniques for the welfare of our canine clients. This is intended to be an interactive learning experience and can be adapted to cover topics as required i.e. major muscle groups, benefits to the post-operative patient; effects on body systems; demonstration of simple techniques; contraindications to massage. Massage Therapy is an effective complementary treatment that works alongside conventional treatments to improve recovery from injury, pain management, compensatory issues associated with arthritis and post-surgery rehabilitation. You see your patients regularly and as such are often the first to uncover potential muscular issues. Hair disturbance, sensitivity, muscular twitching, a change in behaviour and even aggression can be key indicators of pain and discomfort. Speak with your client and explain that their dog may have a muscular issue and they should seek advice. 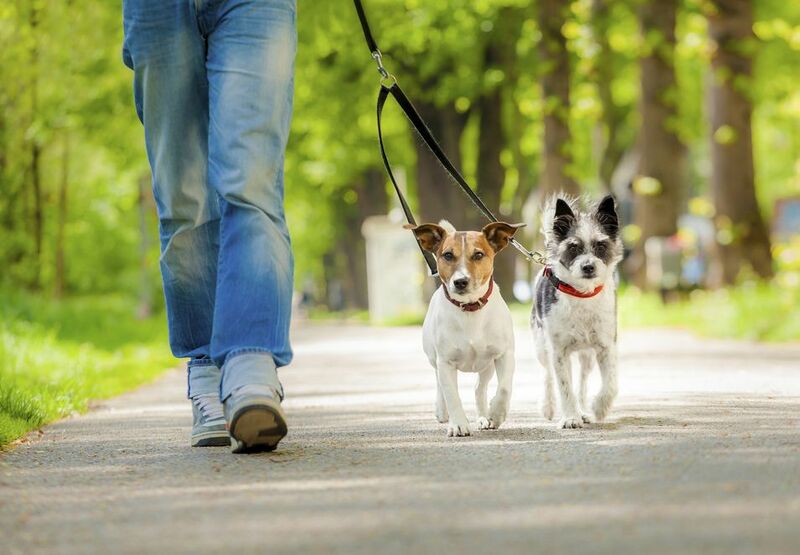 Observing a dog’s movement becomes second nature when you walk dogs regularly. Have your client’s dogs’ slowed down, become less enthusiastic, displayed signs of lameness, have a bobbing head carriage. If the answer is yes, they may have an underlying muscular issue. Contact me to discuss how I can help. I believe that a multi-modal approach is often the most effective way to rehabilitate a dog. Whether you are a hydrotherapist, behaviourist, physiotherapist, acupuncturist, chiropractor, or other animal professional, I am of the understanding that we should work together in the interests of the client. If you feel I can help or would like a better understanding of the benefits of massage for your client, please contact me. It’s always great for CPD!! 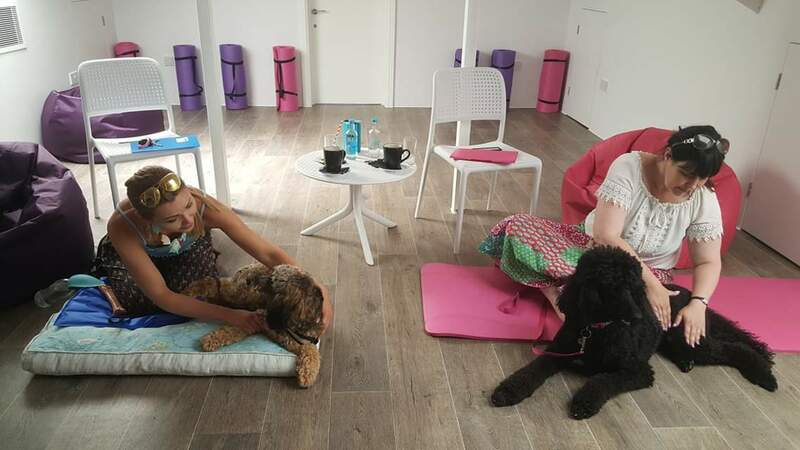 This fantastic workshop will cover everything you need to know to feel confident to complete a full body massage on your pooch to promote relaxation and well-being. To learn more and book please click the button below. I aim to regularly update my blog with all things PawsOn. Find out about what i’ve got up to, some of the clients i’ve met and their dogs and how we were able to help. Below you will find the answers to some queries I get often get asked. If you have any further queries or would like to ask me a question about my services and your animal then please feel free to get in touch. Why do I need my vet’s consent? By Law, it is necessary for any therapist to seek your vet’s permission in accordance with the following sections of the Veterinary Surgery Act. 1. The Veterinary Surgery (Exemptions) Order 1962 allows for the treatment of animals by ‘physiotherapy’, provided that the animal has first been seen by a veterinary surgeon who has diagnosed the condition and decided that it should be treated by physiotherapy under his/her direction. 2. ‘Physiotherapy’ is interpreted as including all kinds of manipulative therapy. It therefore includes osteopathy and chiropractic but would not, for example, include acupuncture or aromatherapy. As Canine Massage is a form of manipulative therapy, it is covered under this clause. It is also important to understand that there are circumstances in which massage could exacerbate an issue or be detrimental to your dogs’ health, so it is important for all parties to be involved and fully informed. By gaining your vet’s consent you can also be satisfied that the therapist has been trained to a professional standard, qualified and insured, In this way, the integrity of the therapist is assured by the accompanying veterinary surgeon. How many treatment sessions will my dog need? Every dog is different and the number of treatments is dependent upon how your dog responds to the therapy, however, you should see an improvement within 1-3 treatments. If there is no significant improvement after the 3 treatments, I recommend a review with your vet. For optimum results, I recommend 7-10 days between each session. Further treatments can then be scheduled as required. Dogs with orthopaedic conditions, such as arthritis, will benefit from on-going maintenance treatments to help keep them comfortable, more flexible and more mobile. Whenever possible I will travel to your house; your dog will be more relaxed in its own environment. I am based in Wing and will travel free of charge if you are within a 10 mile radius. If you are further afield I charge a small additional charge to cover the cost of fuel, but rest-assured that I will keep this reasonable. You may visit my home for the treatment but be aware that I also have dogs which can be very distracting for your dog, he/she is less likely to settle readily and it is likely they will be less responsive to the therapy. I am happy to discuss this on an individual basis. The room where the treatment takes place should be quiet and free from distractions. If you have other dogs, please put them in another room and ask family members to remain quiet or in another area of the house. Please provide a soft bed or blanket for the dog to lie on. Treatments are conducted on the floor or your dog’s favourite resting place so that they are free to move away and return at will. I will not restrain your dog or use a muzzle during a treatment. The initial consultation will last about 75 minutes. It will include a comprehensive consultation where we will review the dog’s activities, exercise, illnesses and injuries, look at posture and gait, as well as including the massage treatment. Subsequent treatments will take 45-60 minutes. Please get in touch and we can have an initial chat about your dog’s issues. We can then find a convenient date and time for the first appointment when we can meet both you and your dog. I have full professional indemnity insurance and can provide details for your peace of mind. I am a member of the IAAT, a leading body within the animal therapy industry, and I am committed to further professional learning and keeping myself abreast of new techniques and treatments. 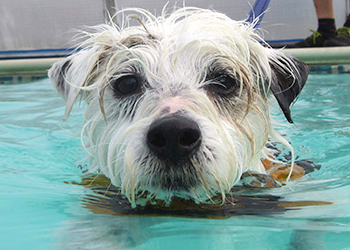 The IAAT and it’s members are recognised by all major pet insurance companies. Can I claim on my Pet Insurance? Insurance policies vary considerably in what they do and do not cover. Many do recognise massage either physiotherapy or complementary therapy. It is best to contact them directly for clarification. You can let them know that I am a registered member of the IAAT (International Association of Animal Therapies). Should you wish to make a claim, I can provide and invoice. Sessions can be conducted at your home or at an agreed venue. The session will last approx. 1.5 hours, where we will discuss the issues your dog has been experiencing, look at gait, perform a hands-on assessment followed by a physical assessment of your dog’s capability. I will then run through some appropriate exercises with you and your dog to ensure you understand how to perform the exercises correctly and are happy with the plan. Success in your dog’s performance will rely upon a commitment from you to conduct the exercises at least 3-4 times per week, so please be aware that changes will not be achieved in a single session. After 2-3 weeks we will reconvene, look at your dog again, and determine a plan for the next stage. 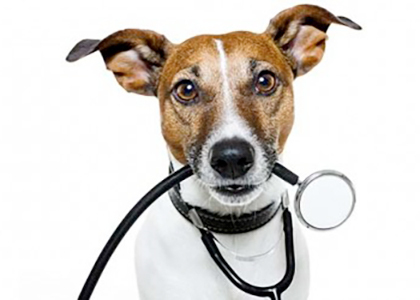 If you have any questions or queries you would like answering about either your pet’s health, symptoms or how they might benefit from my services then please feel free to get in touch and I’ll be happy to answer them. Or alternatively feel free to fill out the form and I will get back to you asap. I am based in Wing, Buckinghamshire and cover the areas shown on the map below. However, if you are further afield, please contact me to discuss. Don’t forget to download our vet’s consent form. We need this before we can work with your pet! It’s important to know that your animal is in safe hands. I am fully qualified from a number of industry recognised organisations.